Inside the church feels like the opposite of Gothic. Instead of the hush and gloom you usually find, there's light everywhere. 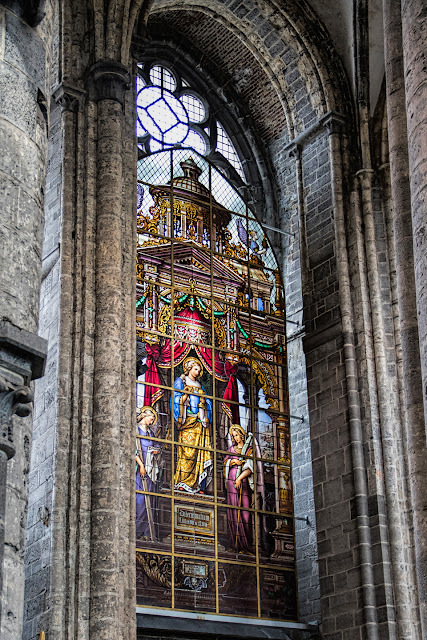 There are stained glass windows, but much of the glass is clear. 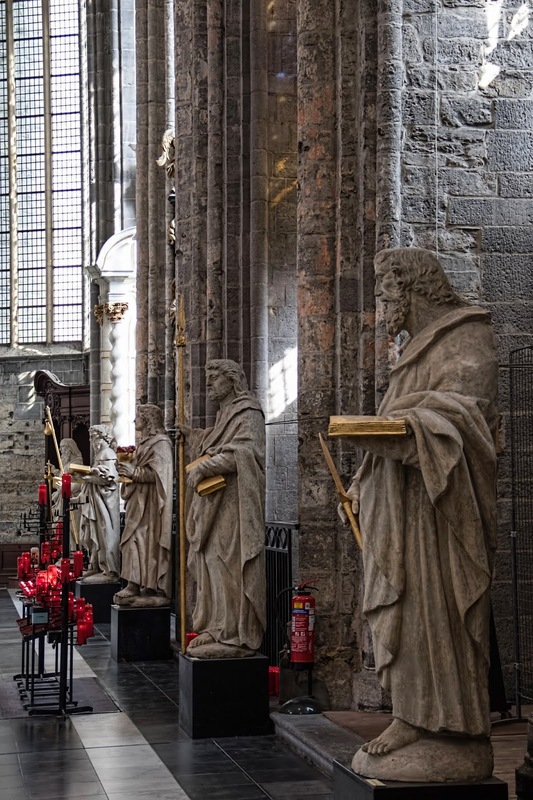 And I love how this row of apostles stands on pedestals, almost at eye level, instead of tucked away in niches with altars.